Nothing sounds sweeter to a backpacker’s ears than the word “free”. 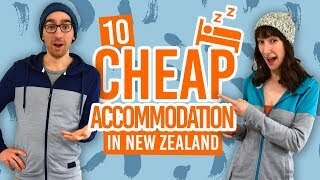 Freedom camping is a great way to save on the cents when travelling around New Zealand. The Auckland region has a limited number of free camping spots, but the few it does have are only open to certified self-contained vehicles staying a maximum of two nights. Take a look at the list below for the free camping spots in Auckland. More places will be added to this list with the new freedom camping laws being discussed, with 65 potential freedom camping spots being trialed. Keep up to date on the freedom camping spots on the Auckland Council website. Remember to camp responsibly when freedom camping in New Zealand following the 11 Golden Rules of Camping in New Zealand. For more options for camping in Auckland, take a look at Where to Camp in Auckland. A pretty sweet seaside spot for certified self-contained vehicles. The Gulf Harbour Car Park has public toilets. Maximum stay is two nights. Find out How to Get Your Campervan Certified Self-Contained. Get in early to secure your spot in this popular free campground on the edge of the Auckland and Waikato regions. You can stay for up to two consecutive nights in one calendar month. A good place for a walk on the beach and watching wading birds. Overlooking the Manukau Harbour, freedom camping in the Te Toro Scenic Reserve is a pleasant freedom camping spot with a small beach to relax at. Freedom camping is for two nights maximum and it is first come first served. Public toilet facilities and picnic benches are available. A countryside drive on the Awhitu Peninsula brings you to Hamilton’s Gap, a freedom camping area on coast. There are public toilets and a stunning beach to explore! 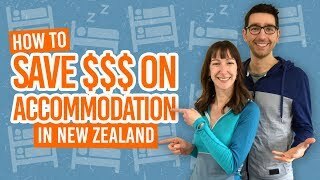 A good option for a quick overnight stay when driving in or out of Auckland. Stay a maximum of two nights in car park with toilet facilities. What Do You Need to Declare When Arriving in New Zealand?